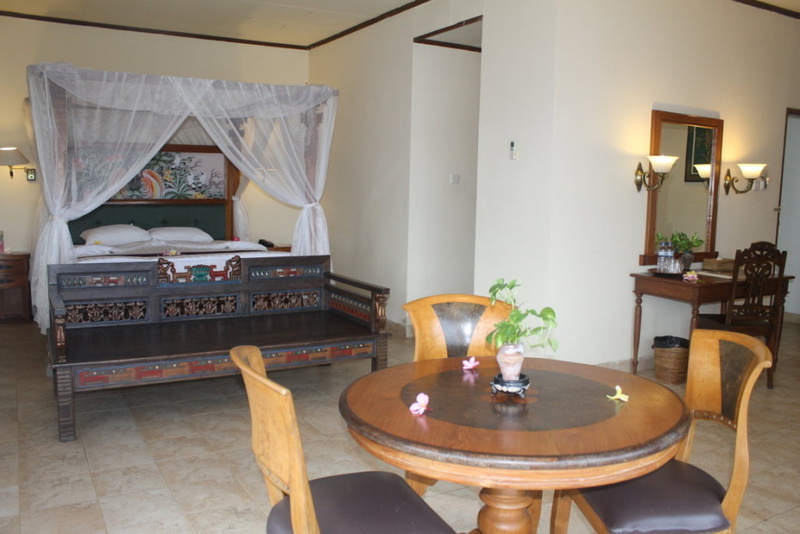 Situated near the center of Senggigi Beach, the Puri Saron Hotel Lombok offers bungalow style rooms in a garden-like setting for travelers looking for modest accommodations with a modest price. 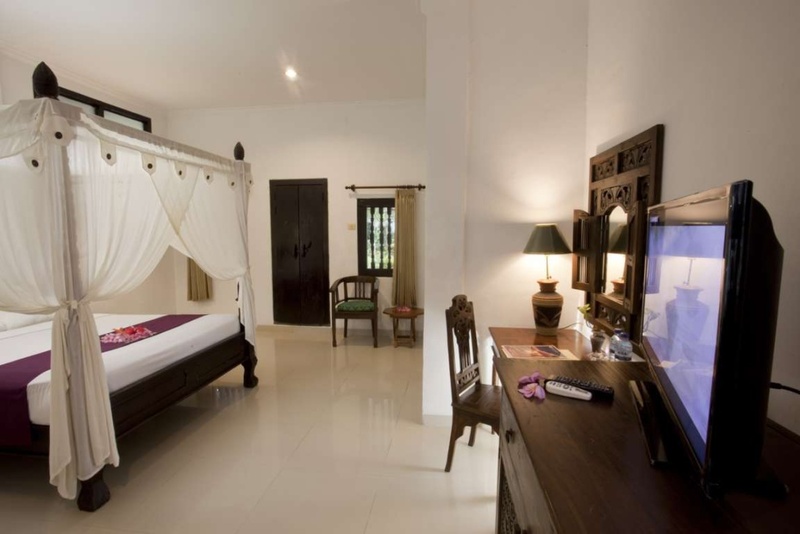 Landscaped by garden and traditional architecture puts Puri Saron Resort the perfect harmony with its surrounding. The 22 two-storey deluxe cottages are completed with private balcony and 27 three-storey buildings breath-taking view of beach. 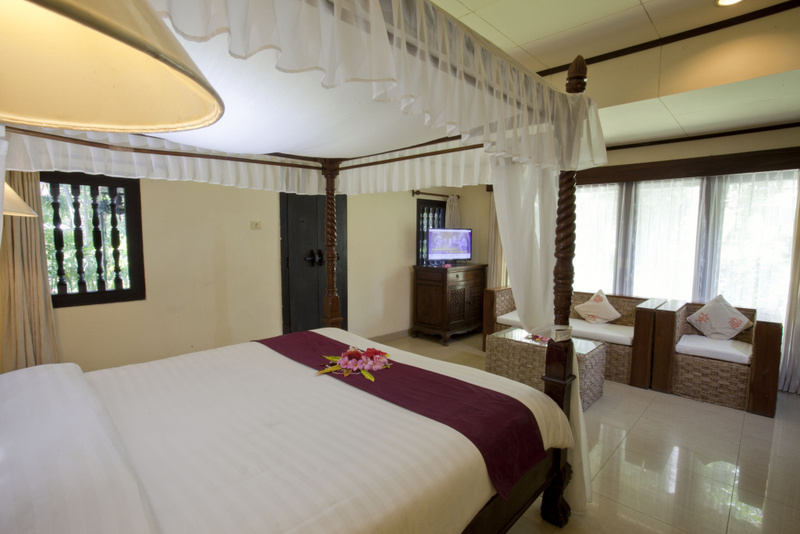 All individually controlled air-conditioned rooms in the Puri Saron Hotel Lombok feature a private balcony, bathroom with shower & bath tub, mini bar with refrigerator, radio, music, international direct dial telephone, and international satellite television. 48 guestrooms, consisting of 25 Superior Rooms with tropical garden views, 16 fully renovated Deluxe Rooms, 4 Bungalows with perfect location next to the swimming pool and close to the beach, and 3 Suites with the seaviews.